Home∕Skin∕Did You Know? Carrots Can Give You A Beautiful Skin! Did You Know? Carrots Can Give You A Beautiful Skin! We all go that extra mile to acquire a healthy and glowing skin. How we painstakingly watch out for every cosmetic product available in the market and stash them in our vanity box, half of which we don’t even use. With the current wave of natural living, we are slowly drifting away from supermarkets and entering our own kitchens to fish out food items to replace those expensive, chemical-laden skincare products. 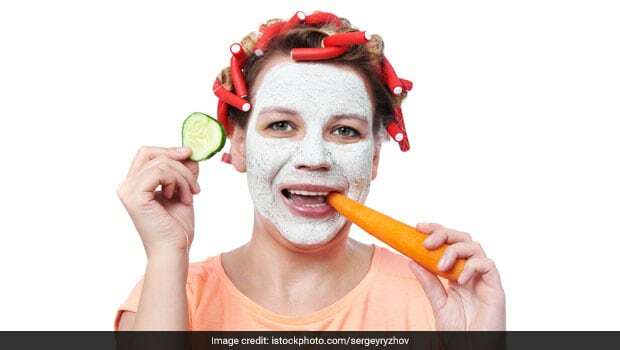 Of all the items stocked up in our kitchen, it might have never occurred to you to pick up carrot for your skin care regime. Surprised? Well, carrot is another kitchen staple that has proven positive effects on skin! 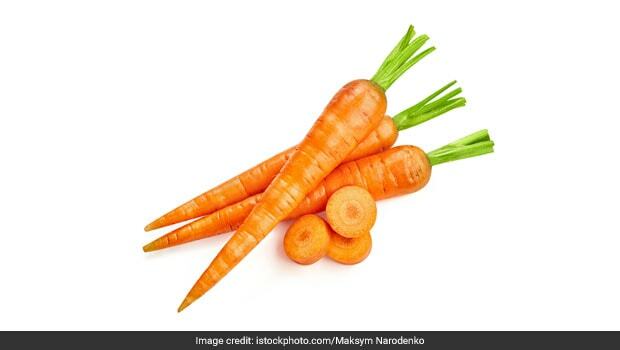 Of course, we have heard about how good a carrot is for our bodily health, including eyes and hair; but the fact that it is a great skin booster is something unheard of. We have been chomping down on carrots to avail their benefits in various forms – salads, vegetables, juices etc. Now, let’s put it to another and use it topically to see its magic work on our skin. Also Read: Are Raw Carrots Better Than Cooked Carrots? Potassium-rich carrots carve out dryness from the skin by penetrating the layers of our skin. This mask deeply moisturises the skin and makes it glow. Grate half a carrot and grind it. Add a teaspoon of honey and a teaspoon of milk, and mix it all thoroughly. Apply and keep the pack for at least 15 minutes and wash off with cold water. Vitamin A in carrots flush out excessive oil and keeps the skin fresh and free of toxins. 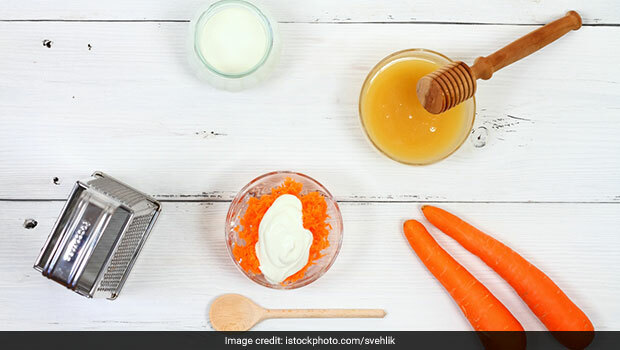 To use this face pack all you have to do it to mix one cup of carrot juice with one tablespoon each of curd, gram flour and lemon juice. Apply this mask on face and neck for half an hour and wash with lukewarm water. Combine equal parts of carrot juice, yogurt and egg white. Apply for 15 minutes and wash with lukewarm water. Carrots play a big role in removing dead skin cells, giving rise to a fresh, new layer of skin. Beta-carotene and carotenoids contained in carrots protect the skin again UVA rays and also remove sun tan. Mix carrot juice and rose water in equal parts and fill the mixture in a spray bottle. Spray on face and body to keep the skin hydrated and help it brave the scorching rays of the sun. Mix the juices of carrots and aloe vera and apply regularly to fight the signs of early ageing. Vitamin C, found in abundance in carrots, promotes collagen production and smoothens out wrinkles. Carrots are a powerhouse of antioxidants, which keep most of the skin problems and diseases at bay. Welcome this magical vegetable in your skin care routine and say hello to a new, beautiful you. However, don’t forget to also consume it through your diet to fully reap all its benefits.